Clothes dryers are among the most truly convenient appliances of modern life, and, where the space and utilities are available, a clothes dryer is the natural companion to an automatic washing machine. It’s hard to beat lifting a soggy load of clothes out of the washer, dropping it in a dryer, and tumbling it dry in less than an hour. For most people, it especially beats the alternative—having to rely on a clothesline, clothespins, and dry, warm weather (though this is a good way to reduce your energy usage if you have the time and inclination). Which type of clothes dryer you purchase will mainly depend on whether you have easy access to a gas supply pipe. Though a gas dryer is more expensive initially, in the long run it is more economical if you live in an area where gas is less expensive than electricity. The rule of thumb when deciding which model to purchase is to make sure that it matches the capacity of your washing machine. 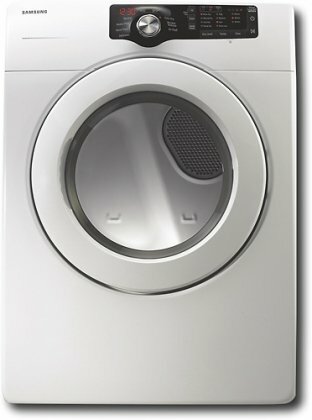 For more information on clothes washer types and features, see the Clothes Dryer Buying Guide. Whether gas or electric powered, all clothes dryers work by the same principle: Air is heated and then blown into a rotating drum filled with damp clothes. The mechanics are that simple, as illustrated in How a Clothes Dryer Works. 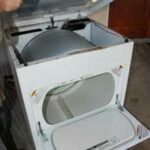 Because a clothes dryer is not a complicated machine, repairs to it are generally straightforward and well within the skills of an average do-it-yourselfer. Most malfunctions have to do with the heat source—either a pilot light that has gone out or a clogged lint trap or heat vent. 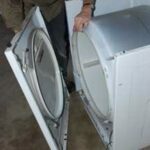 To help diagnose a problem with your dryer, see Clothes Dryer Repairs and then scan the articles in the Repair & Care section to find your specific fix.
" This is testing post for all groups selected. " When you buy a clothes dryer, the dealer can often arrange installation for a modest fee, but installing a clothes dryer is often a simple task for do-it-yourselfers. For an electric dryer, you just need to plug it in to the dryer electrical receptacle (usually 240 volts) and level the unit by adjusting the feet at its base. For a gas dryer, you’ll need a 120-volt receptacle for the motor, a gas supply pipe, and a vent to the outdoors—this will require a few basic tools. For step-by-step instructions and illustrative photographs, see How to Install a Clothes Dryer.